During your visit, you’re invited to explore the Redlin Art Center’s three distinctive shops: The Comforts of Home Cabin, the Home Collection, and the main Gift Shop. Whether this is your first trip to the Redlin Art Center or you are a longtime fan, bring a piece of Redlin home with you. 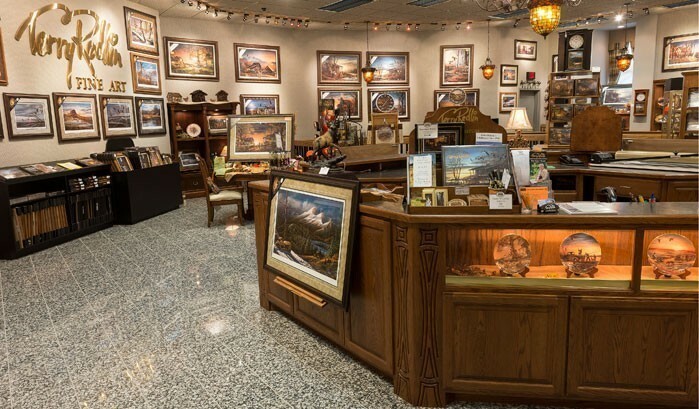 You’ll find prints from the Collection, home furnishings, apparel, private label wine, stone jewelry created from pebbles Terry hand picked himself, and other fine collectibles. 100% of the proceeds from your purchases help keep admission to the Redlin Art Center free. 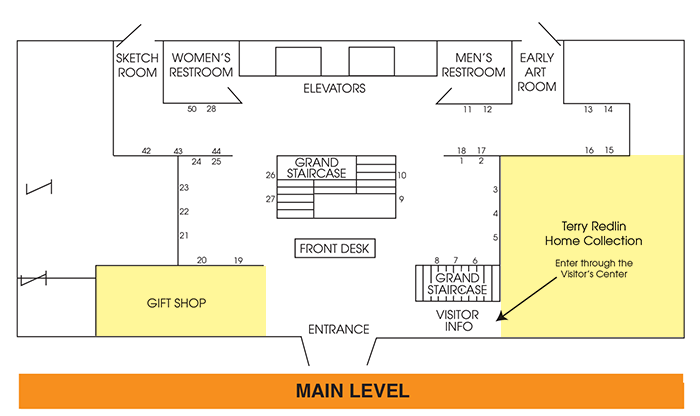 You can view the gift shop locations by downloading our gallery map. Did you know you can buy gift shop items online and pick them up at the Redlin Art Center? It’s easy! Just click “Pick up in the Gift Shop” during payment and let us know when you’ll be here. Can’t make it in person? We can also ship items directly to you.